Certikin 1.7"/43mm Overflow ladder that has been designed with a longer handrail to enable installation across the overflow channel on a deck level pool. Certikin Overfow ladders are now supplied with stainless steel anti-slip treads as standard, as well as the new Certikin 1.7"/43mm pinch anchor. 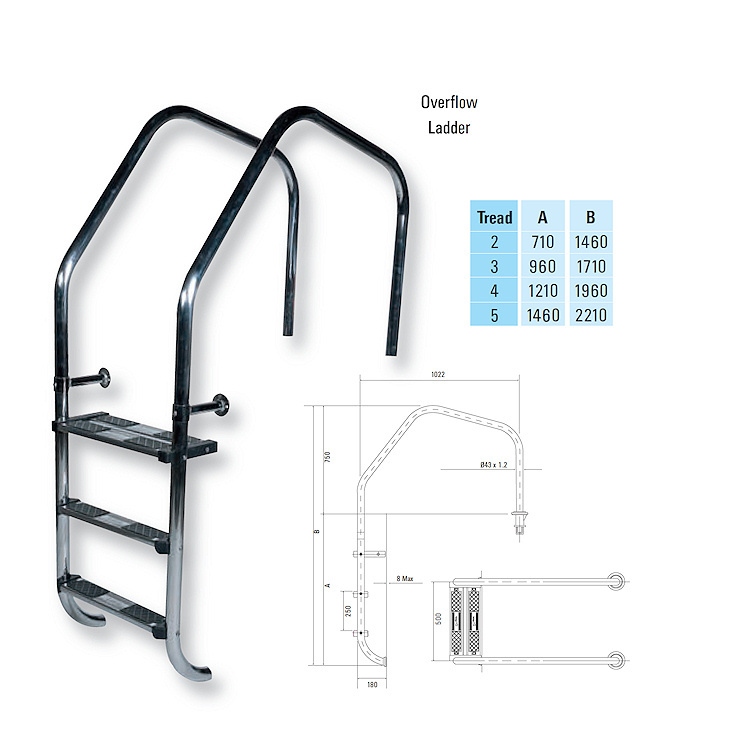 Available in 2,3,4 & 5 tread - Please note that these ladders incorporate the double safety top tread.